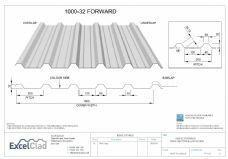 ExcelClad holds extensive stocks of GRP rooflights in a wide range of sizes and profiles to match our range of forward and reverse profile sheeting, as well as some other manufacturers. G.R.P (glass reinforced plastic) rooflights are a lot more durable then basic clear PVC sheets and are used to provide natural light into buildings. 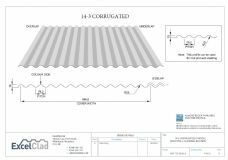 In addition we can also manufacture bespoke GRP rooflights in any profile, class and weight you may require, including 'Step-safe' sheets and coloured GRP sheets.